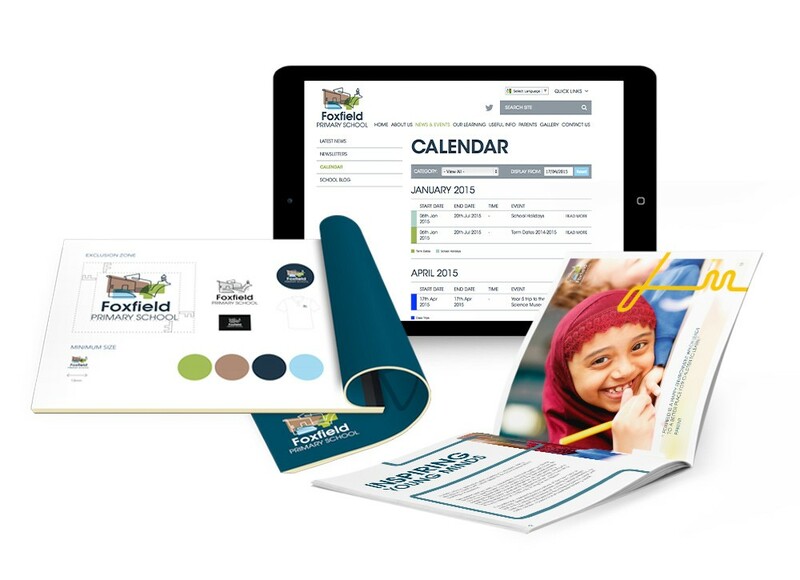 With a new building and a vision for an exciting future for primary education in the heart of the Royal Arsenal, the new brand for Foxfield Primary School needed to be modern, aspirational and linked to the local community. A kinetic line drawing of the school and local landmarks, overlaid with colour blocks to indicate the river Thames and local green spaces, forms a distinctive and energetic logo. Rich colours and bold typography run through the prospectus and website for a fresh, contemporary feel with a clean and clear message. To ensure the longevity and integrity of the new identity, we created style guidelines encompassing logo usage, colour palette and uniform.